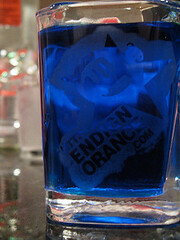 Description: A 2 oz. 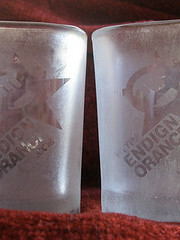 Square Shot Glass imperfectly etched around the endignorance.com logo and url to give it that frosted look. 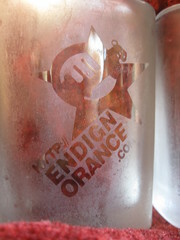 The imperfections give each shot glass a slightly unique look and shows that the etching was done by us. A lot of problems and stress caused us to get creative. A little extra supplies, some light labor, and lots of love went into getting these bad boys to what they are now. Personally, I like the way it turned out compared to the originals. Why am I telling you all of this? 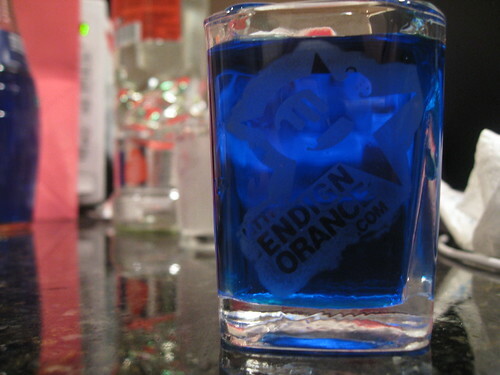 Because I want you all to know that even though we went through all of that, we’re still willing to sell them for SIX little dollars for one of these sweet shooters. 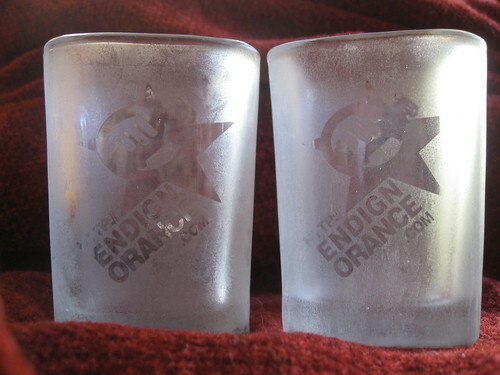 Description: This shot glass is etched just around the logo. Description: Like them a lot? Why not buy them by the pair and save a little money. Save a couple dollars a pair when you buy them by twos. Choose your pair. 2 fully frosted, 2 partially frosted, or 1 of each. Click the button below your selection. Got everything you wanted? Go ahead. Checkout.